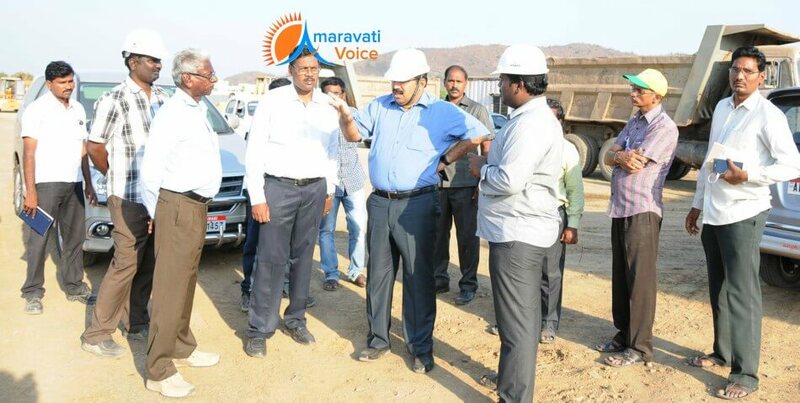 District Collector Babu A, inspected the ongoing flyover works at Kanaka Durga temple ghat road to Kanaka Durga varadhi on Friday. Collector asked necessary measures to remove encroachments at Durga ghat. He asked the officials to speed up the flyover works in order to complete before Krishna Pushkaraalu. The Collector asked the officials to take up construction of retaining wall on the Krishna River bank along with the flyover works. He also directed the officials to do a survey, for laying another road linking Durga temple ghat road from Kummaripalem centre, along with the proposed four lane road.